Baja SAE® is an intercollegiate engineering design competition for undergraduate and graduate engineering students. The object of the competition is to simulate real-world engineering design projects and their related challenges. Each team is competing to have its design accepted for manufacture by a fictitious firm. The students must function as a team to design, engineer, build, test, promote and compete with a vehicle within the limits of the rules. They must also generate financial support for their project and manage their educational priorities. The project requires students to design and build a prototype, four-wheel, single-seater, off-road recreational vehicle to meet a given set of design specifications. The vehicle must be safe; easy to transport ,fun to drive and good looking. It should also be able to negotiate rough terrain and handle anything a recreational user will most likely put it through. Apart from certain minimum safety requirements, the design is open to the initiative and ingenuity of the students. 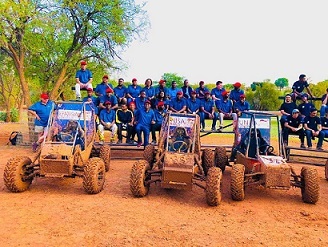 According to Dr Thembalani Sithebe, each team’s goal is to design and build a single-seat, all-terrain, sporting vehicle whose structure contains the driver. The vehicle is to be a prototype for a reliable, maintainable, ergonomic, and economic production vehicle which serves a recreational user market, sized at approximately 4000 units per year. The vehicle should aspire to market- leading performance in terms of speed, handling, ride, and ruggedness over rough terrain and off-road conditions. Performance is measured by success in the dynamic events, which are described in the Baja SAE® Rules, and are subject to event-site weather and course conditions. Eligibility is limited to undergraduate and graduate students to ensure this is an engineering competition rather than a race. When asked for comment, Professor Fulufhelo Nemavhola, the head of the Department of Mechanical and Industrial Engineering, congratulated the team and mentioned that the importance of this project cannot be overemphasised, since it provides students with a practical way of learning directly what was taught in class. Practical training, i.e. welding/fabrication, machining, use of workshop machines, such as lathes, milling, CNC, hand tools, etc. run concurrent with design. Fabrication of the vehicles – 4 months, or up to the competition date. Vehicle specific systems, such as roll cage, braking systems, drive train, steering, driver systems, safety requirements, general conformation to the SAE Baja rules: run concurrent with the vehicle fabrication. The mini baja project has four structures (current): i.e. finance and administration (Dr T Sithebe and Mr S Khambule), systems champions (i.e. specialists in specific systems, such as fabrication-, Machining/workshop general, drive train, braking system, steering system, clutch –all by Mr J Hanning & Mr C Baatjes.) 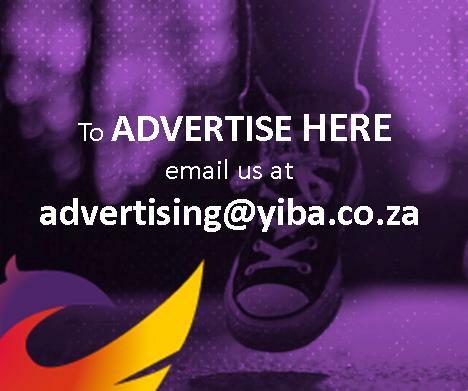 In 2018 there were 6 cars, 3 from Unisa and 3 from University of Pretoria. Number 1 & 2 overall winners were from Unisa. Executive Dean Professor Bhekie Mamba and the entire CSET management wish to congratulate the team of engineering students and staff under the leadership of Dr Thembalani Sithebe from the Department of Mechanical and Industrial Engineering.